Often one of the first steps to helping people out of homelessness is getting them a steady job. But what about the thousands of homeless Californians who are already working? Pinning down exactly how many Californians are working while homeless is not easy. Many try to hide it. And it’s certainly true that most people without a place to live are out of work. But recent estimates suggest that it’s not uncommon for homeless Californians to hold down jobs. A 2017 survey of the homeless population in San Francisco found 13 percent of respondents reporting part or full-time employment. That’s in a city with an estimated 7,499 people experiencing homelessness. Los Angeles County has more than 50,000 residents who are homeless. Eight percent of adults surveyed in 2017 said they were working to some degree, mostly in part-time, seasonal or temporary work. Among homeless adults with children, 27 percent said they were working either part or full time. That includes parents like Nereida, a single mother of two young daughters who works full time at a Los Angeles optometrist’s office. 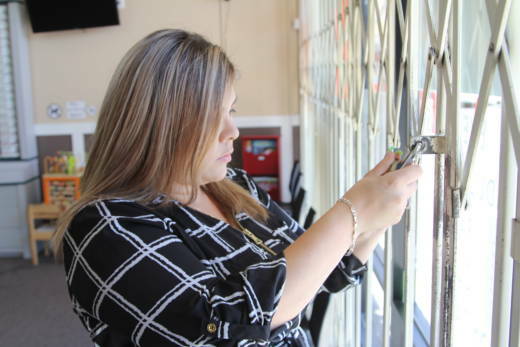 "I do pre-testing,” said Nereida, who asked that her last name not be used in this story. “I take measurements of [patients’] eyes. After that, the doctor sees them." Some weeks, she hasn't had a place to go home to. "There's been several times where I just slept in my car,” she said. “I parked close to the gym, because that's where I get ready in the mornings." Nereida moved to the Los Angeles area almost a year ago. She’s been able to rent rooms for a few months here and there. Lately, she’s been staying with a friend. Someone has always been willing to let her kids spend the night. But she never thought finding a place of her own would be this hard. She admits her credit score is bad. And between car payments, gas and childcare costs, Nereida hasn’t been able to save for a deposit plus first and last month’s rent. At $17 an hour, she earns more than minimum wage. But even if she did manage to find an apartment, the city’s median rent for a two-bedroom — estimated at $1,752 by listings website Apartment List — would claim more than half of her income. "You have to really focus on work when you're at work, and try to put on a face that everything's OK,” Nereida said. “Once you're done, you break down. Because you don't have a place to go." Nereida hasn’t told her boss that she doesn’t have a stable place to live. She said she would be embarrassed. And she wonders if she would be treated differently. "I don't want him to have a different view of me, and to think that [it] is going to affect my work life,” she said. Workers have protections on the job when it comes to factors like race and gender. But Jessica Bartholow, a policy advocate with the Western Center on Law and Poverty, said, “There are no laws in California that protect you from being discriminated against based on your housing status." The bill faced opposition from groups like the California Chamber of Commerce; it died in committee. Bartholow looks at California’s housing crisis today and wonders why legislators haven’t reconsidered it. "If we know that income is one of the best ways out of poverty, why wouldn't it be a best policy practice to make sure that people who are homeless and working are not at risk of losing their jobs or having reduced hours?” she asked. 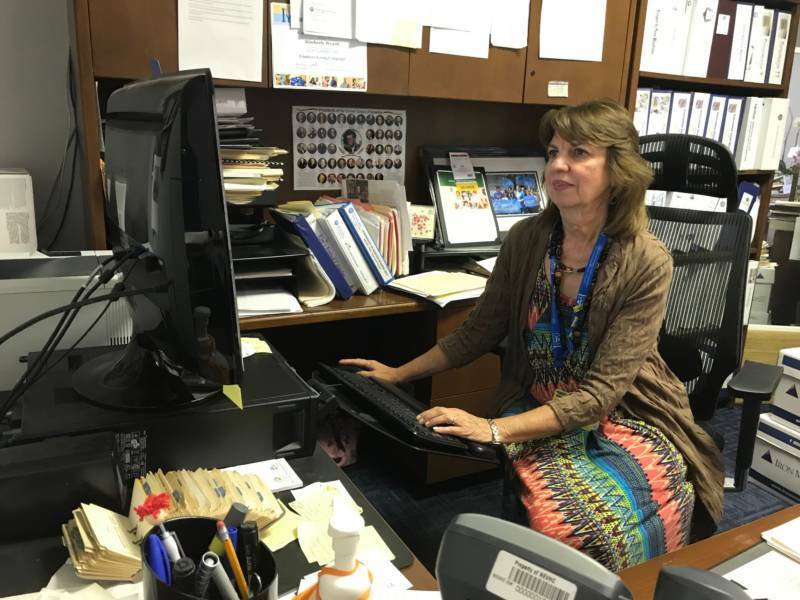 "We don't have the solution of being able to solve everything with money,” said Kim Wyard, CEO of the Northeast Valley Health Corporation. "We're not a food bank. And we're not a housing organization. But we can certainly help make those connections,” she said. Wyard’s organization provides health services to people who are low-income or homeless. It already has strong connections with the Los Angeles homeless support system. In the rare cases when one of its employees has fallen into homelessness, Wyard said those connections were a huge help. Calls to the housing provider LA Family Housing recently helped one employee and her family get back on their feet. Wyard’s advice to other employers worried about homelessness in their workforce is to know who to call for help. "I think that it may take a little bit of digging to put a homeless resource list together for your staff,” she said. “But those resources are there." Nereida, the optometrist’s assistant, said her employer treats her well and pays her fairly. She said when she looks for housing assistance, she feels people's image of homelessness works against her. She describes herself as a soccer mom, and she looks the part. "I've gotten comments like, ‘Sorry, but if I looked at you, I wouldn't assume that you're homeless,’” Nereida said. “Do I have to have ripped clothes? Dirty clothes? I have a job. So I can't come to work unpresentable or unprofessional."